When astronaut Scott Kelly returned from a yearlong mission to the International Space Station in 2016, scientists were eager to learn about the effects of long-term space travel by comparing his biology to that of his identical twin brother, Mark. After two years of thorough research, what they’ve observed is far more drastic than anyone could have imagined: Studies have shown that spending a year in space has left astronaut Scott Kelly with a much funnier way of saying “Check, please!” than his identical twin brother. Wow. It’s incredible to see actual proof that space travel can alter a human being so drastically. 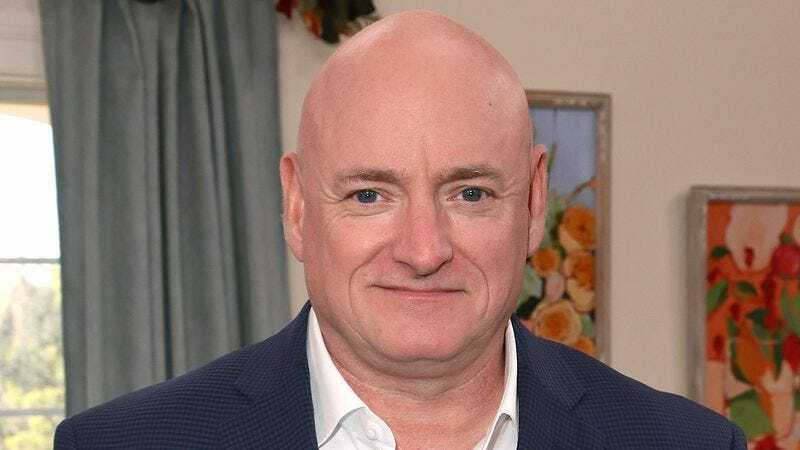 Only a few short years ago, Scott and Mark Kelly could be heard saying “Check, please!” in exactly the same way, but after 340 days of exposure to the harsh conditions of outer space, Scott’s delivery of “Check, please!” has become irreversibly more hilarious and over-the-top than that of his identical twin brother. In fact, NASA’s team of researchers were able to discern both verbal and physical differences between the ways the two brothers now say “Check, please!” including marked disparities in the twin brothers’ volume, comical pronunciation of “please,” use of caricatured Italian accents, and exaggerated arm gestures. Incredible. It will be interesting to see if NASA discovers other effects that space travel has had on Scott Kelly that are more subtle than the dramatic transformations in the funny way he says “Check, please!” Regardless, this is a major breakthrough that’s sure to change the way we view space travel forever.